Pampered globalists and their mainstream media sycophants have characterized Brexit and the Trump tsunami as the distasteful resurgence of sexism, racism and xenophobia, along with a “regrettable” rise of nationalism. The media narrative positions simple-minded folk driven by jingoistic opposition to immigration and trade coming out to vote en masse. CNN presents these people as unknowing morons. That’s exactly how you’d expect the “no skin in the game” weak chins to describe their loss of power. Demonizing the opposition is a cheap, transparent attempt to discredit it. In Brexit, the Brits merely re-asserted their right to self-determination, kicking away the drunk “party boy” bureaucrats in Brussels. In the U.S, the working class voted against the oppressive federal government stranglehold that only works to get the upper crust richer and richer. The unprotected people of America, who have to live with Washington’s policies, rebelled against the protected, who make and defend those policies and who care little if at all about the unprotected. In short, it’s a populist uprising of epic proportions. The unprotected have told the protected that the rigged game is over, bend over… it’s your turn. Look, despite self-interested press fear mongering, there is nothing wrong with populism. The assertion of the rights and power of the people in their struggles against the privileged elite is a noble endeavor. It’s a natural reaction to economic decline and the reality of no longer being heard by politicians who are supposed to represent their interests. Populism is a natural force that forces leaders that behave like kings to reconnect with their people. And there’s nothing wrong with economic nationalism either. When one country sees another country benefiting at its expense, it fights back… or it dies. Much of the global angst we’re seeing about Trump is the fact that the rest of the world is scared that if the U.S. sets its mind to becoming an inward-looking economic superpower again, they will suffer economically. But countries such as Switzerland, Singapore, Japan and many more are all expressly run for the benefit of their own people. And that’s OK. It’s OK for the U.S. too. Populist movements are gaining steam in Austria, Italy, the Netherlands, France and Germany as voters in Europe head to the polls in the coming months. That means you should expect the vitriol and propaganda campaigns against populism to pick up as the people attempt to take back power. 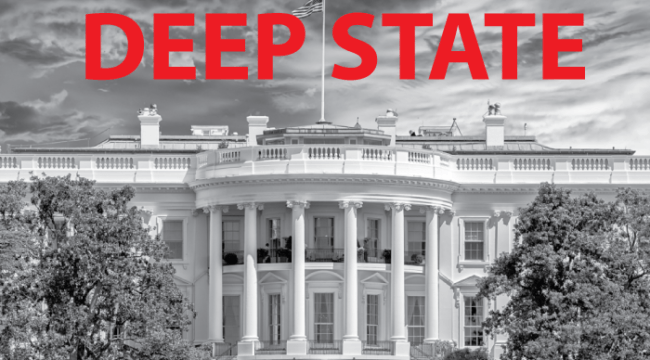 The Deep State’s supremacy is under attack. It’s going to use every weapon at its disposal to keep its death grip on the levers of power. The war has just started. Trump was not a knockout punch. Please send your comments to me at coveluncensored@agorafinancial.com. Let me know what you think of today’s issue.